Looking Back at GST’s Journey: How the Idea is Nearing Reality! India Government is on its way to rolling out the biggest tax reform - Goods and Services Tax (GST) from July 1, 2017. GST is expected to be the most powerful reform since liberalization in 1991. Business landscape in India post 1991is vastly different than before. Similarly, GST is expected to change the way business happens in India in a structural sense. In the meantime, since the introduction of this new taxation is just a few weeks away from the rollout, Indian companies and businesses are rushing to bringing in experts to help prepare their accounting and technology for installing GST. GSTN is expected to process 3.5 billion invoices every month. However, amidst so many things happening around this much-awaited tax reform, it’s the time to look back a little on GST’s Journey. GST is likely to be introduced in India after 16 long years since the time its journey started in 2000 when Atal Bihari Vajpayee was the Prime Minister. 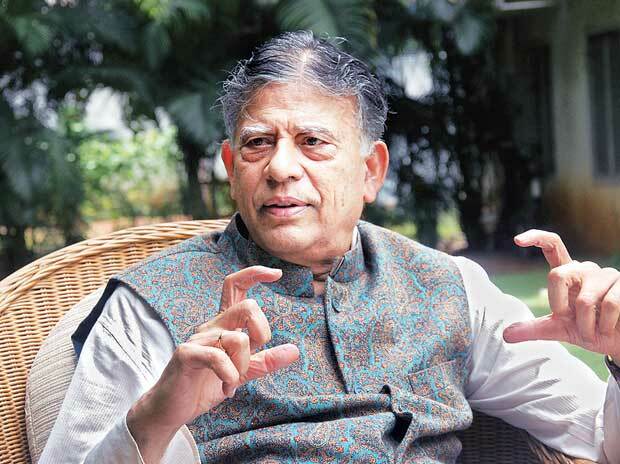 Acting on the advice of his own economic advisory panel, consisting of eminent figures like IG Patel, Bimal Jalan and C Rangarajan, Vajpayee had set up a committee headed by the then Finance Minister of West Bengal Asim Dasgupta to design a GST model. The Asim Dasgupta Committee was also assigned with a task of putting in place the back-end technology and logistics for rolling out a uniform taxation regime in the country. In the succeeding year 2003, Vajpayee government formed a task force under Vijay Kelkar to recommend tax reforms. Later in 2004, when Vajpayee’s government got replaced with Manmohan Singh’s UPA-I government, the process sped up. In 2005, the Kelkar committee proposed to introduce the reform as suggested by the 12th Finance Commission. While presenting the budget, the then Finance Minister P. Chidambaram mooted the sentiment for bringing in the GST. In the successive budget speeches, he signaled April 1, 2010 as the final date for implementing the GST. Since the proposal on indirect tax reform was levied not only by the Centre but also the States, the responsibility to prepare a design and roadmap for the implementation of GST was assigned to the Empowered Committee of State Finance Ministers (EC). Based on the inputs from both the Centre and State Government, the EC released its first discussion paper on Goods and Services Tax in November 2009. The April 2010 deadline was even pursued by Pranab Mukherjee when he became the Finance Minister in 2009. 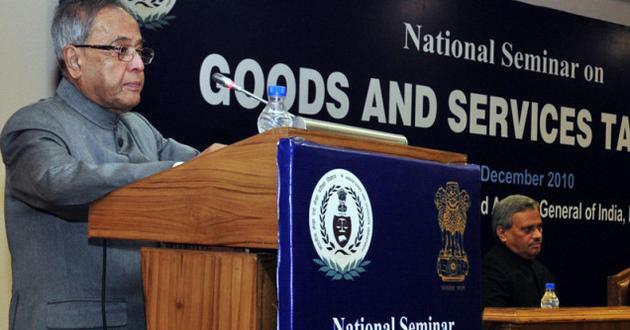 In February 2010, the Finance Ministry initiated a new mission of computerising the commercial taxes in states in order to lay a foundation for GST. But as it was rightly suspected, the implementation of the uniform taxation by the said deadline was not possible under the given circumstances as the BJP opposed the basic structure of the GST on many counts. However, Asim Dasgupta committee left no stone unturned for keep going the GST works on. In one of the interviews, Dasgupta even disclosed a fact that the committee had completed almost 80 percent of the GST works by the end of 2010. In March 2011, the Lok Sabha tabled the Constitution (115th Amendment) Bill in order to amend the Constitution for enabling the introduction of the GST. But the BJP opposed and so did the other opposition parties. As a result, the bill was sent to the Parliament standing committee headed by Yashwant Sinha for further examination. Meanwhile, in 2012, in order to pursue the decision taken in a meeting between the Union Finance Minister and the Empowered Committee of State Finance Ministers, a ‘Committee on GST Design’ was constituted, consisting of the officials of the Government of India, State Governments and the Empowered Committee. In the very next year, January 2013, a detailed discussion took place on GST design on the basis of which the EC recommended certain changes in the Constitution Amendment Bill in the meeting at Bhubaneswar. In February 2013, P. Chidambaram announced in his budget speech that the Government had set aside Rs. 9,000 crore to compensate states for losses incurred due to GST. Meanwhile, the parliamentary standing committee submitted its report on GST, while the amendment bill for introducing GST was ready for an introduction in the Parliament. Unfortunately, two months later, the then Modi Government of Gujarat opposed the taxation bill, claiming that it should have incurred Rs. 14,000 crore to compensate the losses due to GST. In the year next, 2014, the parliamentary elections held, wherein with the dissolution of the 15th Lok Sabha, the GST Bill got approved by the standing committee for reintroduction. Seven months after the formation of the Modi government, Finance Minister Arun Jaitley introduced the GST bill in the Lok Sabha. But it was then Congress’s turn to object the bill. In February 2015, Jaitley set another deadline for the implementation of the GST Bill on April 1, 2016. In May 2015, the Lok Sabha passed the constitution bill to pave the way for GST, which was then opposed by the Congress. The latter demanded the bill be passed to the Select Committee of the Rajya Sabha. 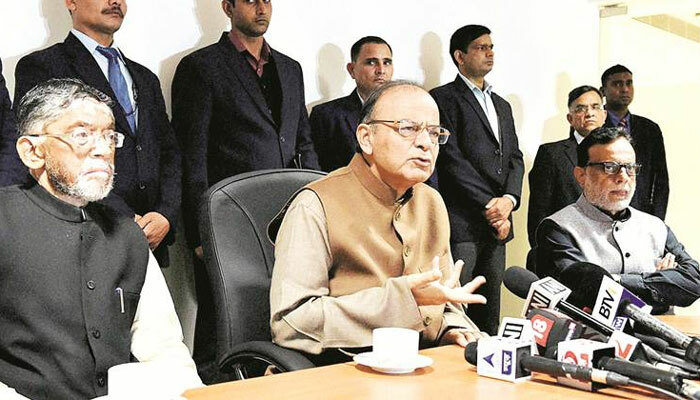 Over more than a year, both the ruling and opposition parties held back the GST bill over several issues and finally in August 2016, they agreed to pass the amendment bill. In next 15 to 20 days, nearly 18 states ratified the bill and President Mukherjee gave his assent to it. The final date for the implementation of the GST was then fixed on July 1, 2017. Now, the time has come to look forward to the final GST meeting, which is to be held in Srinagar on 17th & 18th of May headed by Arun Jaitley. 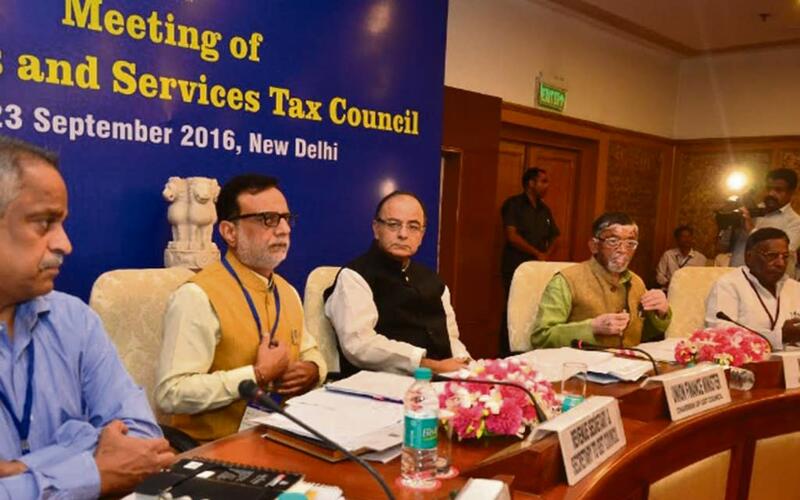 Although the GST Council has already approved half of the rules required for rolling out the Goods and Services Tax from July 1, 2017, this meeting is to finalise the rates of different commodities. According to a report, there would be two standard rates of 12% and 18% into which the bulk goods and services would fall and under the highest slab, the so-called “sin” and “demerit” goods like tobacco, aerated drinks and luxury cars would fall. The rest we will come to know after the meeting upon which we are all laying our keen eyes.